Former NJ Governor Chris Christie appears on the "Late Show with Stephen Colbert." 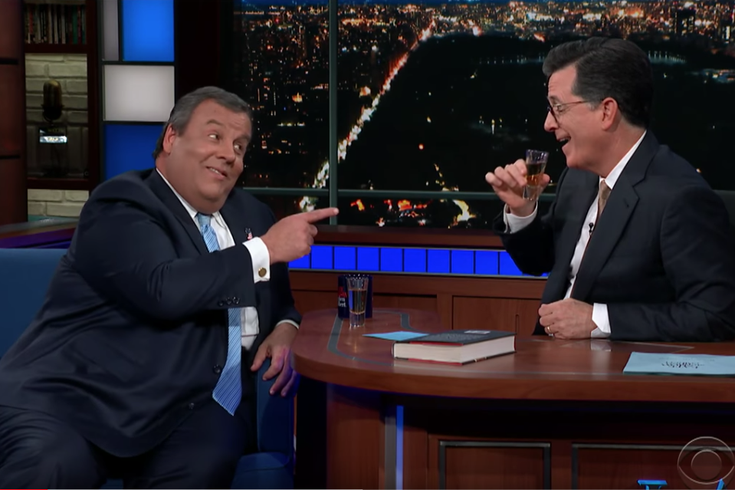 Former New Jersey Governor Chris Christie was greeted with Bon Jovi as he walked out on to the stage of the "Late Show with Stephen Colbert" to promote his new book, "Let Me Finish." “When he shut the government down with no plan on how to reopen it.” Christie added that he told the president in person that he needed some sort of an exit plan. Watch the two part interview below.